Simplicity and taste was our number one rule from this couple of architects. From the start them had a few ideas and together we worked on figuring out the best style of the decor. 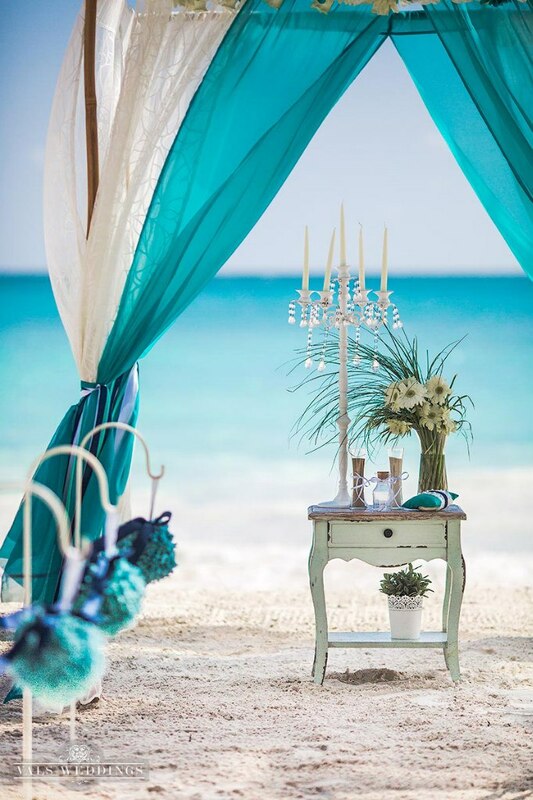 Alongside bathing suits this couple had brought a few hand made elements to complete the perfect decor package. Teal and navy has been the perfect and ever so popular wedding color combination lately, so we used those together with some vintage elements to soften up the very deep navy pallet. One can only be in awe of the grace and poise with which the bride, Elaine carries herself in the photos. You can read Elaine and Vincent's review of their super special wedding day Here.